The Internet has given us Expert Overload. Seems like just about everyone who is able to call themselves an expert is doing just that! If you’re in search of an actual expert, then you’ve really got to do some digging. Then again do you? Don’t Experts just stand out?? Well, Let me stop asking questions and start answering them for you. 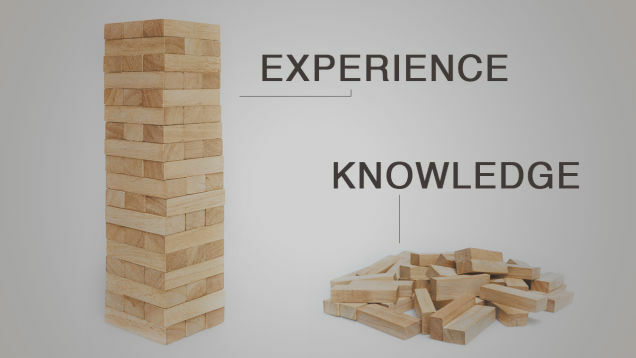 There are several levels of expertise. Some people are beginners and others are more advanced. Sounds simple right? Well, in reality due to the nature of the internet it’s not always as ‘simple’ for you to know who is who. There are some advanced people in the field of network marketing who ‘used’ to make a lot of money. But their company went out of business. They landed in a few different companies but most of their Top leaders didn’t follow them. The new people they’ve been working with aren’t as loyal, or as well trained. They’re also not as ‘experienced’ – and so the Expert who used to be a top Dog in a company, is trying to claw his … or her way back to the top. Now a person who isn’t ‘really’ successful can pretend to be. They are beginners when it comes to network marketing – and are really Unable to teach others how to make money in the industry. BUT people sign up with them, because of the ‘perception’ that these people Made their money through this industry. Oftentimes, it was a loan, or a paycheck that was cashed. Sad to say this but, I see so many people in network marketing who seem to act like strippers. If you show them enough money, they’ll do anything for it…. And I’m not knocking strippers – at least they GET the money that is shown to them. That’s not usually the ‘case’ for network marketers who follow frauds. To find a Real expert in today’s industry, you have to change your thinking about ‘what’ makes you an expert. What makes anyone an expert? So yea, anyone and everyone ‘can’ be an expert – but it’s important to remain in our lanes. Only speak about what you have experienced. You bought some leads, and the leads turned out to be mostly people who are upset that their name is on ‘some list’ – well that’s now an ‘experience’ that you can speak about, on why it’s important to Generate your Own leads, rather than buy leads. it’s why I could put together a Training On social Networking for money – because it is based on my ‘experiences’ using social networks, to make money. I’ve made money in the industry. Because I follow the advice of people who’ve made even more money in the industry than I have. What they teach works. Relationships really do matter. The problem too many people in network marketing have is that they think they’ve gotta sponsor 1,000 people to make money. You only need 3-5 good loyal business partners. If you’ve never put 3 to 5 people into a business, you cannot truly consider yourself an expert. You should be following experts until you duplicate those results. Then you can start writing about your ‘experiences’ learning from an expert. You can discuss how you failed to sign people up; and what changed for you. For example – when I first got into this industry I went around ‘explaining the business’ to everyone. I was basically giving a presentation everywhere I went. The problem is, I was ‘giving people the impression’ that they would also need to go around giving presentations. When you guys Send people 7 paragraphs and a link – and call yourselves prospecting; the ‘problem with that is’ – you’re giving people the impression that they need to do that too…. But, because I learned from several people with expertise in this industry I learned a more effective way to sponsor people. 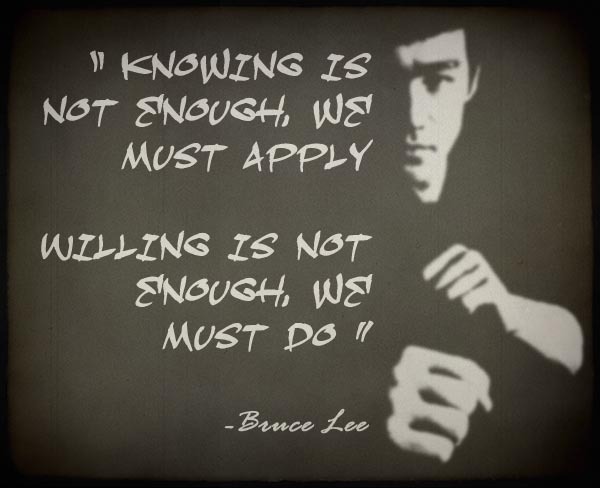 It’s a process that each of us must learn And follow. We teach it inside of our 1mlmsystem – a training system developed for our Team (TopNetworkersGroup). The system is designed to help you become an expert. It’s designed to teach anyone of your business partners how to also become experts as well. When you are working with people who have ‘experience’ – together you’ll REALLY achieve your goals. When you’re working with people who aren’t experienced, you have to wait for them to learn. If they do not have the ‘desire to learn’ then you’ll have to find those who do. Once you do though…. Prepare to ‘experience’ success like never before. That’s the blueprint that’s been proven time and time again. However, over time we’ve seen what happens when you place ‘all of your eggs’ into One financial basket. That’s why we teach you to really and truly approach this the right way. So that you can avoid the same fate as people who used to be Top earners but are no longer where they used to be. Take the time to learn how to build the right way; so that you’ll have income that withstands the tests, and the ongoing changes of time. Still Hopping Around in MLM? Do you know what the Top earners in Home business do? Better question for you may be this. Are you Doing what Top Earners in Home business do? That’s where I want to begin. I’ve been around the home based business industry since 1999 and can admit that I did not start out doing what the top earners were doing. Like most people I felt like I knew what I had to do. I ignored what they told me in the training. I tried to sell everyone on the idea. Real quickly most of the people I knew would join me didn’t. Unlike most network marketers I didn’t blame network marketing. I went back to training – I listened to what Top earners were telling me They did to succeed; and slowly over the next 12 months learned how to apply what they were doing to my business building efforts. What I loved so much about my first 5 years in network marketing, is how I learned valuable lessons to carry over when starting a traditional business of my own. I backed into a seminar on Web Design, and learned that most small businesses were Not Online in 2004; I saw an Opportunity. Naturally like anything else there was a learning curve. But this time I knew that if I wanted to become a top earner in the web design business, I’d have to learn from others who were already doing it. I’d have to take notes, and apply what worked for others. 5 years of experience in an MLM, learning from top earners gave me an advantage that most ‘new business owners’ are lacking. More importantly though; because I got involved so early I’ve been around to see both pre-internet and post-internet business building. Post-Internet meaning, now that the internet is widely available and widely used. There was a time when it wasn’t either. Now it’s everywhere, and that’s great for those of us in business who know what to do. It’s one of the reasons we’ve seen an increase in people making money from home over the last 5 years. So, What are Top Earners Doing in Home Business that You’re probably Not Doing? Click Here to SEE how They’re building a business; Ask yourself Are You Doing This Too?? 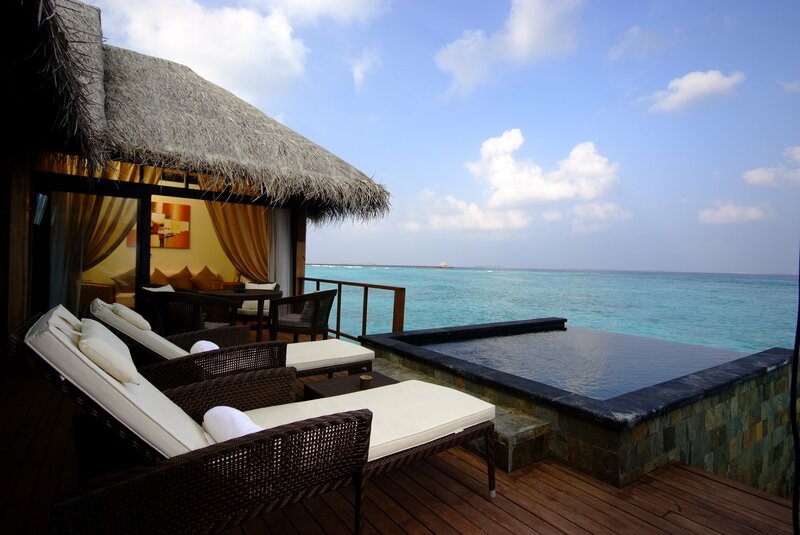 Besides relaxing in places like these, Top earners in the Home Business arena are exceptional at building their list of contacts. They are absolutely, TOP Networkers. They understand the power, and the benefits of knowing the right people. Do you understand this too? Perhaps… I personally hope that you do. That being said, how are you going about doing it? Are you sticking to the OLD school ways of writing down phone numbers in address books? Have you come into 2016 and you ‘at least’ use your Email Address book to store people’s information? Are you approaching these leads individually? Are you using the kinds of Tools we are promoting Here – that Top earners are using for their Home Based Businesses? Because these ‘kinds of tools’ are actually modeled after the things we were doing in those PRE-Internet days; That’s when we had to write down names on paper and manually follow up with each person we ever spoke to about our business. With the widening use of the internet came better tools to simplify this process. I first learned about these tools, through internet marketing courses offered by Top earners in the Affiliate Marketing Industry; they were all using ‘systems’ like these – and so I’ve always used these sorts of systems. The only thing is, when it comes to Network Marketing you’re attracting a wider range of people. 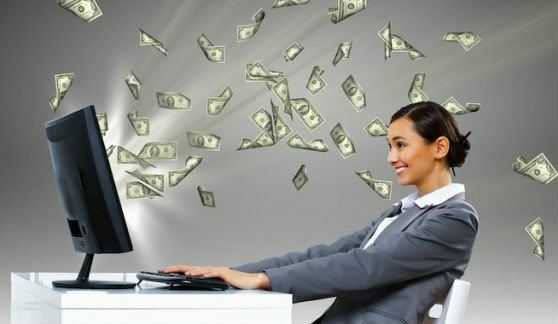 PURE Internet Marketing appeals to tech savvy entrepreneurs. While Network Marketing has and is always been designed to appeal to a wider audience. Top earners in both, have found ways to make this process ‘simple’ for that wider audience so they benefit from the tech savvy; even if they’re not So savvy. In other words; We build systems that you can use, without having to create the entire system yourself – and either you’re using them or you’re struggling like 97% of our industry. Naturally there is more to it – and if you aren’t Working With The Group – You Should be; All our Good Information can be found Here! Let’s talk about getting organized. Order Matters, especially in business. Even more especially when it comes to Team Building. This is one of the reasons that I found network marketing to be so attractive. Through network marketing people who may have NO business background, can learn the importance of organization. Getting Organized is the first step to creating success. Individual success often stems from GROUP Success. So if you want to get to those goals you’ve set for your self, you may want to think seriously about how well you are fitting in with others. You’ll also find me speaking about the importance of Getting organized in Session #5 of our TNG Classes : a special short series that is all about team building as well. You can check out the Other Sessions as well. Once again, all of these videos are part of speaking to the overall mission of TopnetworkersGroup. Spending a lot of time preaching about respecting networks, we are doing even more to ensure that the people who work with this team are able to safeguard their teams from networkers who lack basic respect. Crossline recruiting is a chaotic aspect of our industry that happens all too often. Lazy networkers feel that rather than build teams of their own, they can just target other people’s teams. Most of the time they seek out the ones who are struggling and tell them that, their ‘company’ is better than the one they are with right now. They tell them that their sponsor or upline is not able to help them as much as they can. It’s all the usual promises of greener grass on other sides of the fence. It’s divisional, and doesn’t help make our industry better. This is why Getting Organized Includes Organization Ideas – what are the things WE as an organization agree on? What makes US different from other organizations within this industry? Those are the questions we seek to answer through all of the training you’ll find Inside the 1mlmsystem (to rule them all). We have to ‘come together’ and form Voltron. That’s our message to the industry. We are too fragmented right now. With so many companies constantly popping up, the only way for us to have any real power and any real stability is to form a team. We have to form an ‘organization’ that does have order. We have to respect the network. The natural order that takes place within a network marketing ‘organization’. Those who produce and ‘earn’ leadership get respected. That respect is due, it is deserved, and we should seek to uphold that with any of our efforts. At the same time, those who earn leadership must never let it go to their heads. It’s important to be leaders, and not Misleaders. When the ideas of the leaders are on the same page, that is an organization to watch out for. Great things will come about every single time. When the leaders have different ideas – that’s going to be a Stagnant Organization that does not progress. What kind of organization will you build today? The overall message you’ll get from TopNetworkersGroup is that Network Marketing Companies are all the same. All network marketing companies sell a product or a service and use this business model to save money on advertising. Advertising is a huge industry. Billions of dollars are spent each year by traditional companies in hopes of getting consumers to buy what they are selling. With the rapid improvement of technology more and more ways and more and more places to advertise are emerging. The average joe sitting at home wanting to make money and free up his time is unable to compete with traditional companies. This is why network marketing companies appeal to the average Joes – because the methods taught on how to acquire customers usually has nothing to do with traditional methods. In fact, I’ve made a few videos that speak to this issue which is now a real challenge in the MLM Industry today. Many people who are new to this industry continually make one of two mistakes in how they view MLM. People either feel MLM is not a ‘real business’ – or they think MLM is so much like a real business that the Only way to make money at it is to spend money on advertising. This accounts for the huge % of people who fail at network marketing – because they spent far more than they made. That is however the price to be paid when an Average Joe has a huge Ego and thinks he can compete against Fortune 500 companies with well trained staff. Many of the people working for these companies specialize in what they do. The average joe works a job, on the 40 hours per week plan; and rarely do they work in the advertising department. However the moment average Joe’s join network marketing companies they decide that they are now experts – and choose not to listen to their uplines! Avoid being like average Joe; be like Above Average Joe instead. He makes more money. Should Network Marketers use Paid Advertising? There are a lot of people joining network marketing companies who need to understand this reality. We are not traditional business; and so our approach to acquiring customers needs to be different. 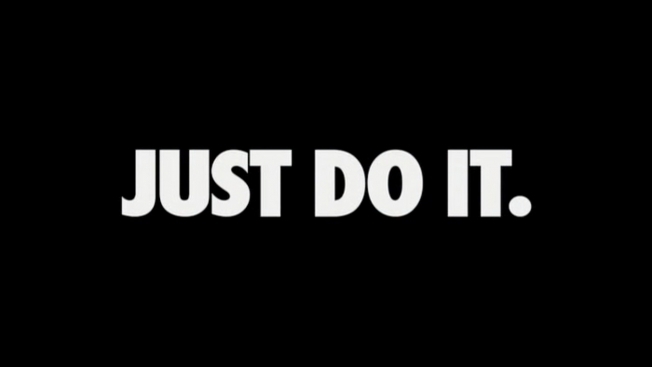 Most people we approach are not going to look at us, or what we sell, the same way they look at Nike or Apple. Unless of course you’re working to get sales for Nike or Apple. Whether you’re marketing for company ABC or XYZ – all network marketing companies are the same. They pay you for the customers you bring to the company. You can get customers yourself, and you can usually assemble a team of business partners who can also make money for getting customers, and you’ll be paid a % of what your partners bring in. Most of these companies are offering products that are of the same or better quality as a Nike or Apple would; for less money than people are spending. These lower prices are usually possible, because network marketing companies are not spending money on advertising. When companies spend money on advertising they need to raise the prices of their products So they can cover the expense. Now you know why Nike and Apple products cost so much money. So, since all network marketing companies are the same – does it really matter what ‘company’ we join? Or does it matter more ‘how’ we go about acquiring customers for products and/or services these companies offer? Simple yet not so simple right? Here at topnetworkersgroup, we feel that as long as we have the right people, who know how to go about acquiring customers for a product/service – and who know how to find good business partners who’ll do the same; We can sell any product/service for ANY of these network marketing companies. For us, it’s simply a matter of choosing the right ones for the team. Over the next 3-6 months, We will be beefing up our FREE level in order to provide more and more value to members of our team; and to make the Opportunity of working with us even more appealing. If you’ve got any questions, be sure to leave those below! What Programs are in our MLM System? Welcome to the Team Building Series. Anyone who knows the story of TopNetworkersGroup understands that it’s a story ‘in progress’. This is a story that is not yet fully written. It is unfolding day by day and you are either watching it happen, or you are part of the story. Many characters have come and gone, but as of this date, heading into the 2nd month of 2015, we are still searching for the core leaders who will lead this team. In this Team Building Series, we are going to discuss several important team building topics. Starting with The Right People – this installment, the introduction, which will first show you how we’ve been addressing this topic; up to this current point in time. Next up in the Team Building Series is the importance of Trust. When you have the right people, trust flows. We’re going to speak on that in detail in that installment of this leadership and business training series of articles. After that, we will bring you How A Team works. Once again you’ll notice us drawing from and referencing previous articles – much of what needs to be said in this series, has already been said. But we want to help you put it all together, so that you can actually be an effective part of this movement. First of all, you must understand our goal is to help more people in the network marketing industry make professional money. We define that as $60,000 per year – Or $5,000 per month. Everyone we know wants to make four figures per month; and not a single person we talk to is against 5,000 of residual income. But not many people in network marketing make this kind of money. I’m goingt to be more specific than ever before. I need people to do 3way calls with. When I broke away from the people I came into the industry with to create TopNetworkersGroup, I was doing so without other people. Going it alone is always difficult in network marketing. We all could use a little help, from our … business partners. Sadly the business partners I had (before I left to form TNG) cared more about their own well being than the well being of the team. This was always the case for me, even with my first Network Marketing company. While other uplines were constantly “crossing the stage” to receive production awards and recognition; OUR upline was no where to be seen; He even disappeared during the training events. Then he’d show up on the final day (of a 3 day event) and would speak to the team about how WE needed to do different things to help HIM get on that stage. So if your company is having 4 Major events during a year; you and your business partners can (and should) create mini-events in between – in order to build momentum for the BIG event coming up. This is a simple idea but, 90% of the industry is NOT doing it. A simple concept, business partners getting together to throw an ‘event’ – a meeting – an opportunity to share information on the business they are building together with others who are being invited to join; and help them build. But most people aren’t doing it. This idea of building a team, from one event to the next, is what spawned other formats; the home meeting, the coffee shop meeting; where two or more business partners would get together to promote and build. Team building at its finest happens when two more more leaders know what to do; and do it. If a bunch of business partners get together, but do not know What to do – then it does not matter if they throw a bunch of events; I can honestly say that I’ve worked with business partners who didn’t know what to do; but agreed to participate in events. Their, not knowing what to do, made the entire events ineffective. Knowing what to do is a Big Deal. We spend So much time talking about Training, not only here at TNG, but throughout the MLM industry. Open your eyes and look around. There is an over abundance of information on ‘what to do in mlm’ – on the internet today. It wasn’t like that when I got into MLM in 1999, and we didn’t get YouTube till 2005; so this EXPLOSION Of information has happened in really just the past 10 years. Imagine how much MORE information is coming to us in the NEXT 10 years. 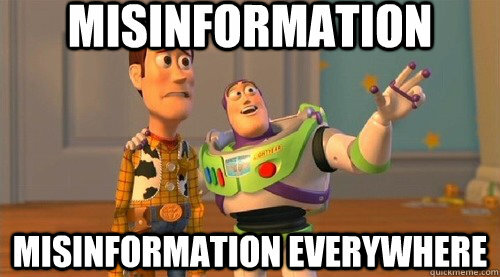 What always accompanies information however, is Misinformation. This is always the case; Even back when I was coming up in the industry (My First 5 Years in MLM) – there was plenty of misinformation floating around then too. BUT, the information that worked, obviously worked – and there was no point in debating it. We all knew what worked and what did not. Most people were too lazy to go and get the information because, you always had to go and get the information. None of us could sit and home and stream information to ourselves from the couch back then. You had to sacrifice to get the information. We all had to go search out top earners, and learn directly from them, with no fast forward button. However over the last 10 years – not only has a lot of information hit the internet; a lot of misinformation has come out as well. In other words, the vast majority of business partners I’ve had team up with me in TopNetworkersGroup were operating on misinformation, ‘thinking’ they knew what to do; and not realizing how difficult they’ve made network marketing. They don’t realize that a lot of the people giving out misinformation can make money from SELLING them false information. In other words, when the information was PURE; they only made money if YOU made money. So the information they gave you, back in those early days, was always accurate. The information I’m talking about, is that Old School Information. That’s why it’s the truth. We Have that Correct Information. Today, people SELL You a funnel, or a system, or a sales package of dvd’s; and they make their money off the front end. Whether the information they gave you is accurate or not, no longer matters. it matters to you; but not to the person selling it! So when I talk of ‘Having the right People’ in this important Team Building Series – I am specifically talking about having people who have the Right Information. This brings me to the One MLM System. It’s main purpose was to provide people with the accurate information. Over the past 2 years, the vast majority of people who came through the system either chose not to watch the video training, or watched it and chose not to apply. I say this, because I did not perform one single 3way call during all of 2014. If we’re going to talk about this topic, it cannot be done without talking about 3way calls. We created a page that is Part of the 1mlmsystem Tour – a Free MLM Business Training page where several videos can be seen directly talking about the importance of 3way calls.Several training videos inside of our System; and inside our Leadership Training Section all speak on how vital 3way calls are to team building – and Yet, in spite of so much training on the topic, none of the people who joined our team, felt they were important. I understand why this is the case. Most of the people who’ve worked with TNG have literally no MLM experience; and the information they’ve gathered is mostly misinformation. There are actually plenty of people who train against the usage of 3way calls. They are telling distributors that they can do this without the help of others. 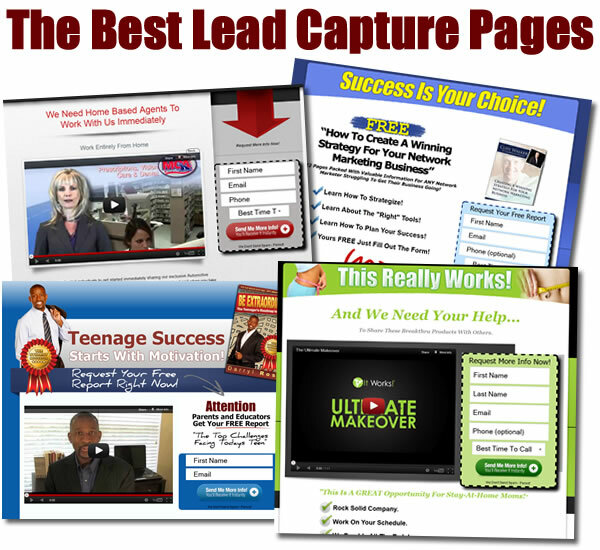 All you need is a lead capture system. All you need is to Brand Yourself. Even if you don’t have the information. Because you have branded yourself. And you have a lead capture system. You’ve got emails to send out. You don’t need a partner. This is a huge mistake that so many people make. These ideas are poisonous to network marketers. I came across a video today from Randy Gage which helps bring home some of what I’m attempting to say here. Randy Gage is one of the all time top money earners in the history of network marketer. He is a teacher of teachers and a trainer of trainers. So when he is speaking on a topic, it’s not ‘misinformation’ – Please listen, and then be sure to finish reading what is being shared in this Team Building Series. This video is nothing short of powerful when it comes to team building. It talks about distributors who seek to always be ‘first’ – when a new mlm company comes out. They believe in the Saturation Myth; and believe that the grass is greener on the other side. I didn’t set TNG up because I thought the grass was greener. I knew this would take work; that we would need some gardeners. It was going to require some people who understood what Randy Gage is talking about here. To build a network marketing organization – a team – you Must involve an upline expert. Just as we’ve spoken about on this blog, it takes a REAL Business Partnership – a Leader and a follower. Two Leaders cannot Build a Team. There has to be someone leading and someone who is following. We are yet to find the people, who are willing to follow. This first crop of Followers, will be the first Leaders of TopNetworkersGroup. They will be our first Directors; Our first Vice Presidents. None of that happens until we find a few who are willing to do the right things, the right way – let me speak more directly, while referencing some of the points by Randy Gage. You cannot successfully bring people into TopNetworkersGroup without them talking to me. I’m the guy with the vision and I am the guy who’s guiding the ship. Skipping steps in the process actually harms you more than helps. 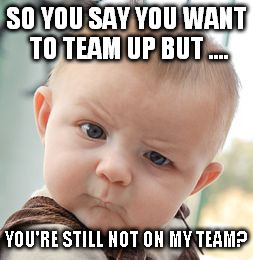 Attempting to build a team without me (your upline) isn’t a wise move. You can try to copy this system and you can attempt to build by leading with a program, rather than the system; you can even brand yourself and use lead capture pages, and email auto responders to send out messages; but you cannot be successful without me (your upline). That comes off sounding like I am full of myself when that is not the case. The case is, that’s just how network marketing works! Top money earner Randy Gage just got done talking about it. He would never think of building a team without an upline. Yet, without naming names, 100% of the people I’ve personally brought into TNG, have decided to ‘attempt’ to build without theirs. The good news is, our system has everything you are looking for – and if you are willing to be part of our movement, you will inherit what others took for granted. You will get instant access to the RIGHT information to build a team. But, to build that team, you must apply the information. I look forward to working with the next wave of people who come through our system. I also look forward to giving you the next parts of this Team Building Series.